What does a uBreakiFix Franchise Cost? 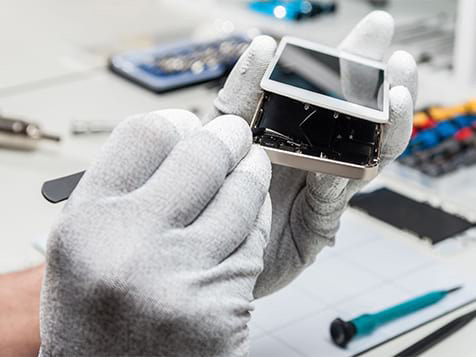 The uBreakiFix franchise is #1 in the tech repair industry and is the best affordable repair options for consumers who break their favorite gadgets. 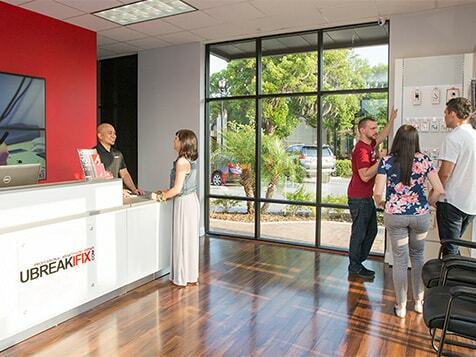 You will need approximately $130,000 to open a uBreakiFix franchise. Financing can be secured through third-party lending sources. The total cost of each unit varies by size and location, the uBreakiFix disclosure document estimates the start-up costs to be between $60,400 and $220,850. Our franchisees are different, but we think that’s what makes us great. 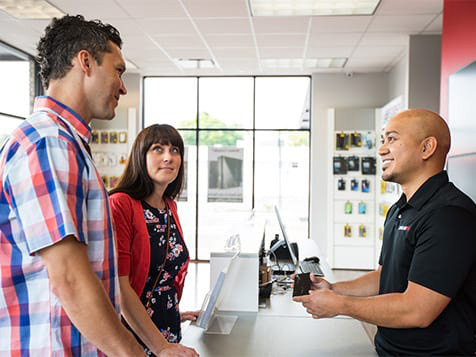 We’re passionate about technology and we’re proud to be the best affordable repair option for people who break their favorite gadgets, such as SAMSUNG and GOOGLE. With a uBreakiFix Franchise the hardest part is done for you! 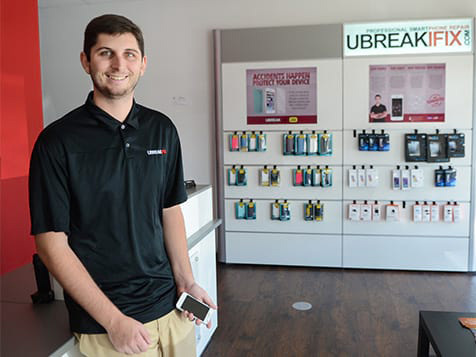 We have spent years perfecting our repair processes and spreading our brand throughout the country, so that when opening a uBreakiFix franchise, you can be sure your local customers won't think twice about where to bring their broken devices. uBreakiFix is the name customers can trust, with our low price promise and industry leading quality guarantees. We also strive to create an outstanding customer experience, where our customers feel welcomed and comforted instead of dreading their time with us. 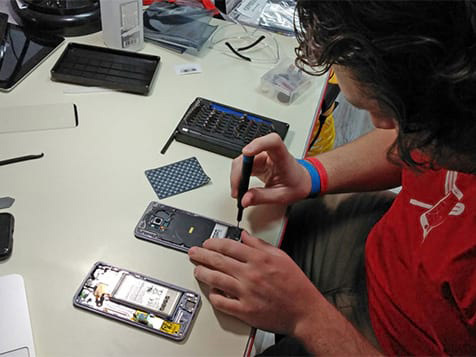 It’s more than learning how to repair a phone, it’s a desire to become a part of something that’s changing lives (one broken screen at a time). With a uBreakiFix Franchise the hardest part is done for you! 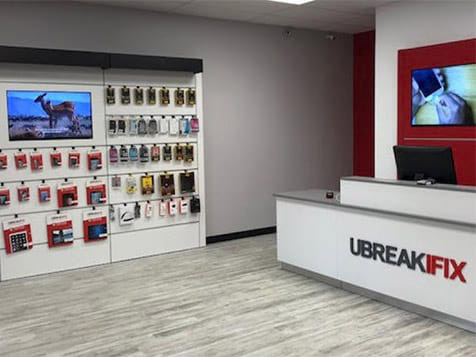 We have spent years perfecting our repair processes and spreading our brand throughout the country, so that when opening a uBreakiFix franchise, you can be sure your local customers won't think twice about where to bring their broken devices. uBreakiFix is the name customers can trust, with our low price promise and industry leading quality guarantees. Our greatest advantage is the partnerships we have built with some of the biggest brands in the tech industry. We provide authorized repairs for Samsung and Google customers as well as many of the top insurance underwriters. Through uBreakiFix, our partners are able to offer same-day, walk-in repairs that meet OEM specifications. In just a few years, our franchise development team has built and grown more than 425 successful affiliate locations. We aim to help you achieve your dream of running your own successful business, and we are here to support you along the way. Our brand means everything to us, and when you become a franchisee, you’re an extended part of the uBreakiFix brand and community. Comprehensive Training: Your comprehensive classroom and in-store training will take place in Orlando, FL, with subsequent training provided on location. Franchisees will be equipped with all the necessary tools and knowledge to successfully operate their location. Location Construction: During training, store design and layout will be discussed, and we will closely guide you through the construction and setup process. Ideally, the build-out will be completed while you are finishing training. Grand Opening: After a final inspection, you are ready to open. Congratulations—work doesn't feel like work anymore! By combining a highly sought-after service with healthy margins, a passion for customer service, advanced metrics, and nationwide operating experience, we found the model could be successfully replicated for franchisees. In the time since then, we have opened and supported more than 425 affiliate locations, with unmatched and resounding success. SIMPLY SUBMIT A REQUEST FORM TO GET STARTED AND GET IN TOUCH TO TAKE THE NEXT STEPS!